The heavy duty, high-performance BAS WNA Series is ideal for applications where impact is inevitable. Impact-resistant acrylic lenses ensure relentless illumination, while linear side prisms maintain brightness control, providing wide, even light distribution. 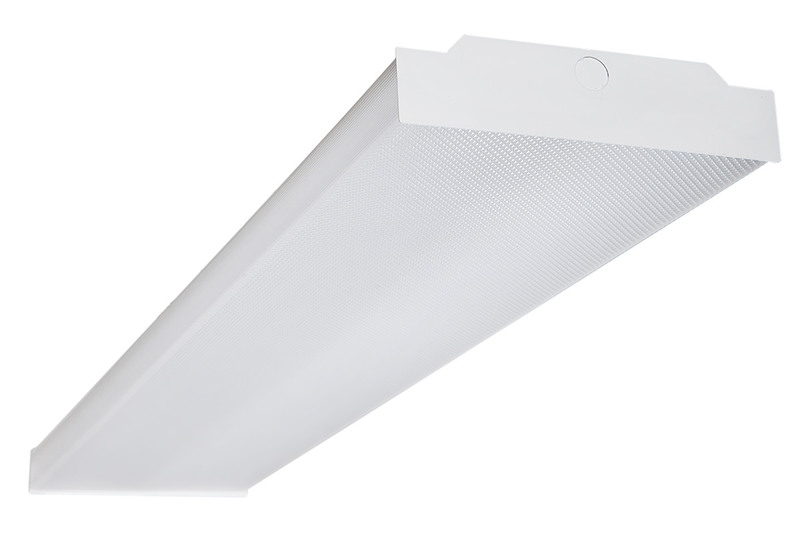 Sturdy steel ends offer low-profile row mounting, securing BAS WNA Series LEDs in stairwells, offices and other tight spaces in need of reliable lighting. Super strong steel housing provides durable, sustainable, non-combustible protection for a maintenance free, long-lasting lifespan. A frosted, impact resistant acrylic lens provides wide, even light distribution without glare. It’s the bee’s knees. A lumen output range of 3,516 to 5,813 means we can meet your footcandle requirements. 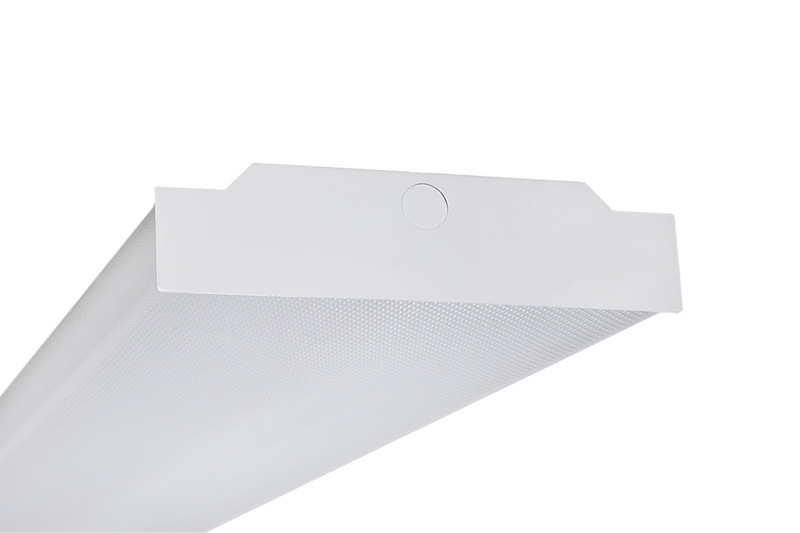 Use the same fixture for a variety of applications — from offices to classrooms to supermarkets and other public spaces. 3500K color temperature is friendly and inviting. 4000K color temperature is neat, clean and efficient. When it hits the fan, don’t get caught in the dark. The optional Emergency Pack will provide 90 minutes of illumination when you need it most. Enjoy an abundance of natural light throughout the day? 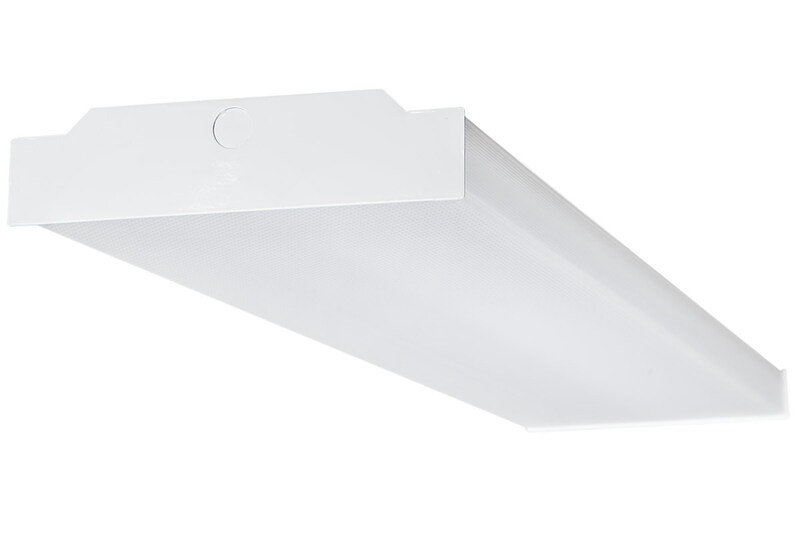 Step-dimming allows you to reduce artificial light in your space by 50 percent during those sunny afternoons.